You may make this blanket to any size. The Alpine Cable Blanket pattern creates a gorgeous, knit-look throw, perfect for your couch or bed. 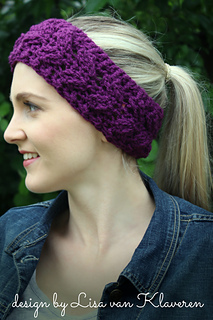 Pattern includes instructions to use this same stitch to create a cowl or headwrap of desired size. Includes size chart for head circumference for sizes baby to adult ladies. 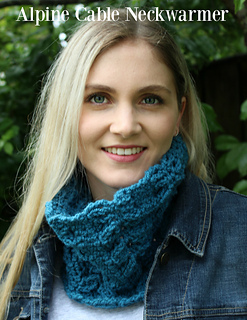 Blanket materials: You may use yarn and hook of choice with this pattern. Sample blanket used an aran worsted weight yarn and crochet hook size K (6.5 mm). Sample blanket of finished size below used approx. 4,860 yards. Finished Size: You may make this blanket to any desired dimensions. Sample blanket measured approx. 54” x 75” (double/full size) which makes a lovely size for a bed. No post stitches are used to create this beautiful texture.